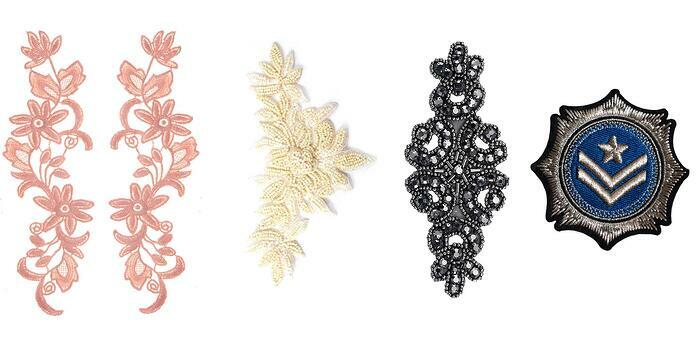 Fabric and Lace ($3-10): The softer, more flexible, and machine stitch ready qualities of these appliques make them a favorite with costume designers. This type of appliques can even be made by cutting up lace fabric yardage. Rhinestone ($25-45): The most dazzling type of applique - rhinestones are added to fabric or beaded appliques for extra sparkle. They are also the most expensive, especially when Swarovski stones are used! Patches & Iron-On ($2-8): Typically embroidered, you'll recognize this type of applique as stars and stripes on uniforms, or as patches on a classic punk rock jacket. 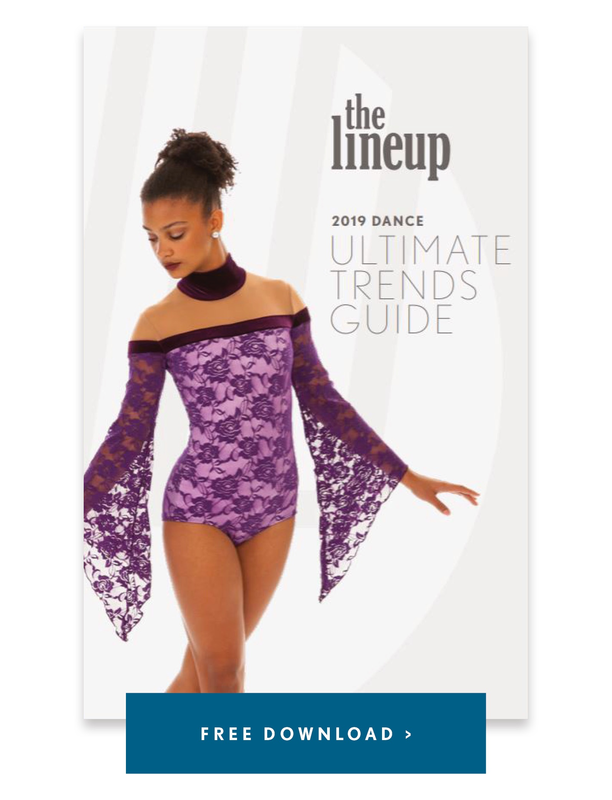 There are two factors that affect cost: the material cost of the the applique itself, and the labor cost to apply the applique to your dance costume. Material cost: The material cost of the applique itself can range depending on the type, as shown above, as well as the size. Patches and fabric appliques are generally the least expensive ($2-$10), and rhinestone applique are the most expensive ($25-$45) due to cost of the crystals. Small appliques (3-6" in size) will be much less expensive than large appliques (12-18" in size). Labor cost: The labor cost to apply the applique to your costume is by far the greatest expense involved in this embellishment technique, and can range from $15-40 per applique depending on the size. This is because most appliques need to be hand sewn to your costumes, resulting in greater labor time and costs. Their delicate nature, textured material, and make it difficult to sew on a machine. If you're looking to save money, consider applying the applique yourself, or use fabric appliques! Softer fabric and lace appliques often have the ability to pass through a sewing machine with ease, thus reducing labor costs for you and your costume company. Before you buy, talk to your designer or costume company to make sure the applique you selected is right for your costume! Size, placement, and how it's applied can affect your overall costume design and how it fits. Look for appliques with sturdy backings - these will hold up much better and be less likely to fall apart! Some suppliers don't guarantee stock for reordering, so do you research before purchasing, or consider purchasing extra in case they are needed later. Sometimes appliques are sold in mirrored pairs, and sometimes they aren't. Keep this in mind with symmetrical designs, and be sure to order the correct side! 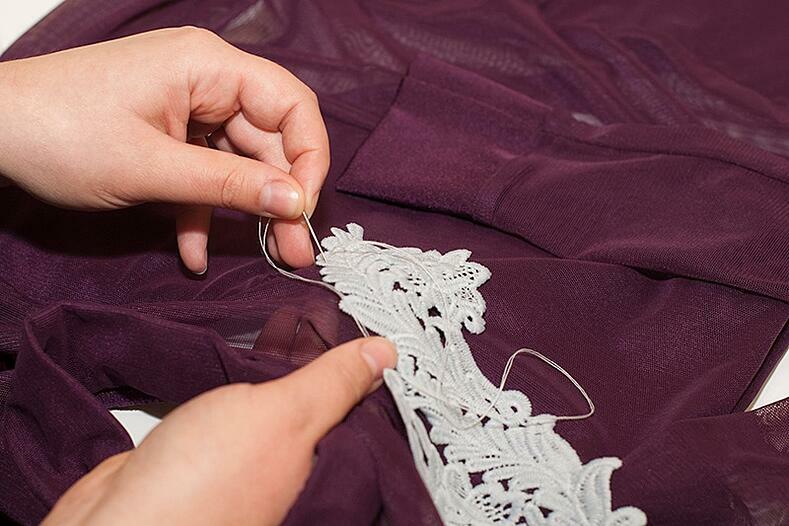 Most appliques must be hand stitched, which contributes to the cost of adding appliques to your dance costume. If you're looking to do a little DIY and apply appliques yourself to save money, the best way to apply appliques is to hand sew them to your dance costume. We've heard too many horror stories of glued appliques falling off, so stitching is the best stay-in-place guarantee. Glue is a great secondary option for those edges that pop out, or a stray sequin or rhinestone that falls off. Appliques don't grade in size - meaning they will be the same size on a 12 child and an XXL adult. So consider your team's size range! A range from XS to XL will probably look fine, but a greater range will require extra design coordination. Appliques are delicate and will need repairs periodically throughout the season. This means they also aren’t a good option for costumes that will be reused for many years to come.